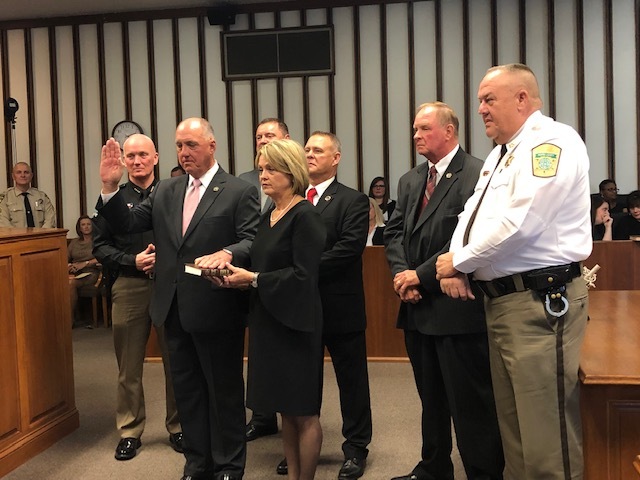 Several Bladen County elected officials took their oaths of office on Monday afternoon. 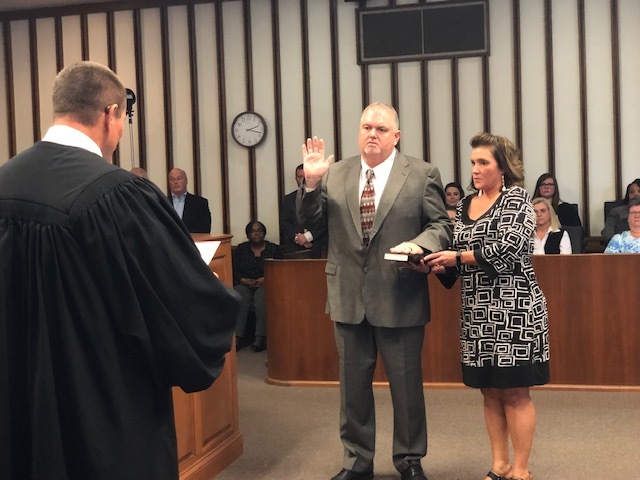 Bladen County Resident Superior Court Judge Douglas Sasser administered the oaths of office along with Bladen County Clerk of Superior Court Niki Dennis. 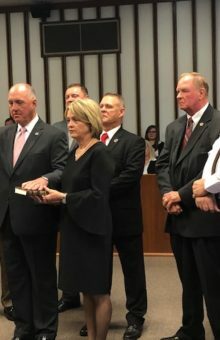 While the Swearing in ceremony was conducted in the Bladen County Superior Court Room for the offices of Sheriff, Clerk of Court and Register of Deeds, some elected officials will have to wait a little longer. 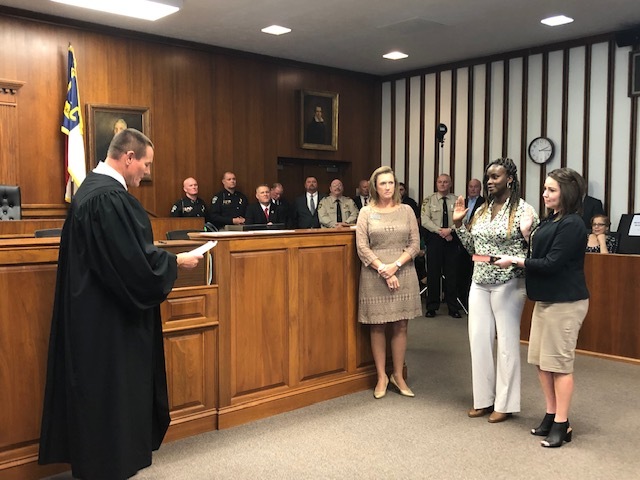 Some elected officials will be sworn in this month when their respective boards meet again with the exception of Bladen County Commissioner District 3 seat and the Bladen County Soil and Water race. 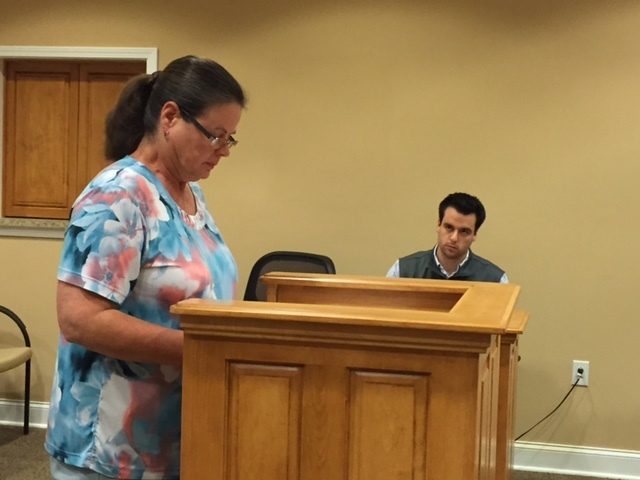 The State Board of Elections Offices ordered the Bladen County Board of Elections office not to issue certificates in those races. Citing election irregularities in Bladen County and the 9th District, the State Board of Elections in Raleigh has also refused to certify the results of the US House District 9 race which was unofficially won by Mark Harris. 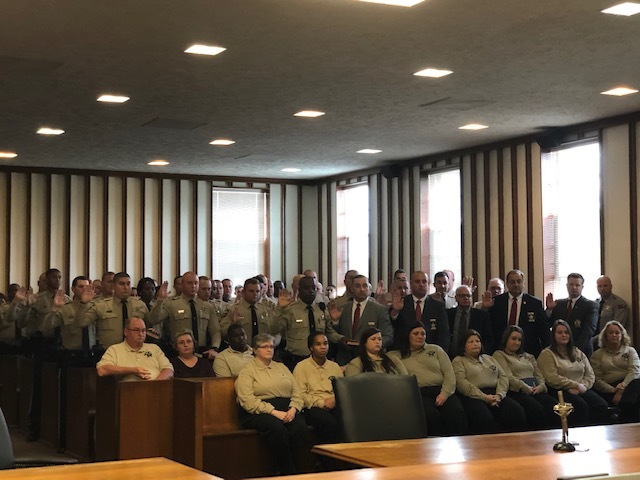 As the swearing in ceremony started, the Superior Court Room was filled to capacity and some observers chose to stand. 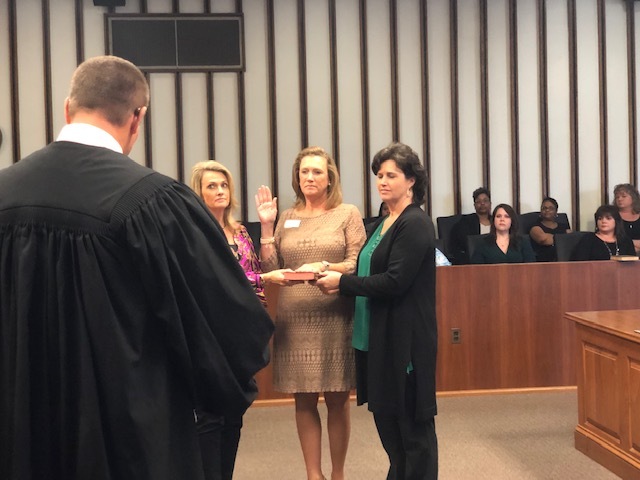 The first to be sworn in was Bladen County Clerk of Superior Court Niki Dennis. 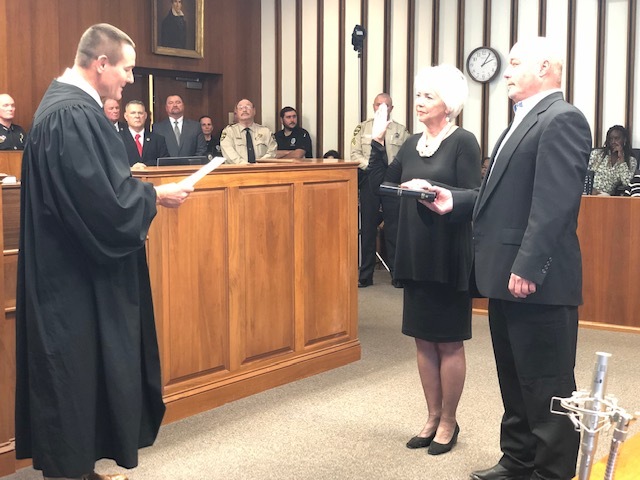 She was joined by her husband as she took her oath from Judge Sasser. 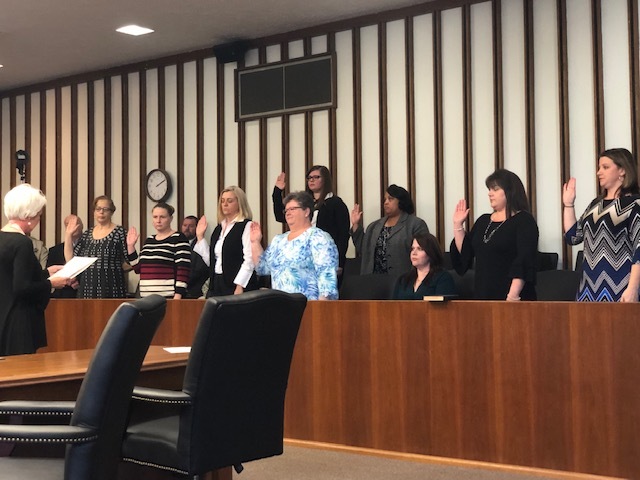 The next to be sworn in were the staff of the Clerk of Court’s Office. They were Cristin Hursey, Angie Peterson, Leisha Munn, and Althea Weaver. 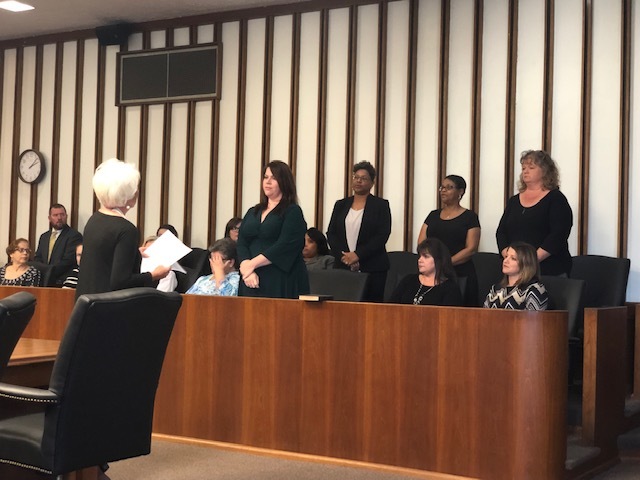 The Deputy Clerks are Joyce Britt, Jackie LeSane, Rose Whitaker, Monica Wilkins, Kim Salmon, Terri Hall, Miranda Underwood and Brandy White. Judge Sasser next called Bladen County Register of Deeds Beverly Parks to receive her oath of office. She was joined by her family. 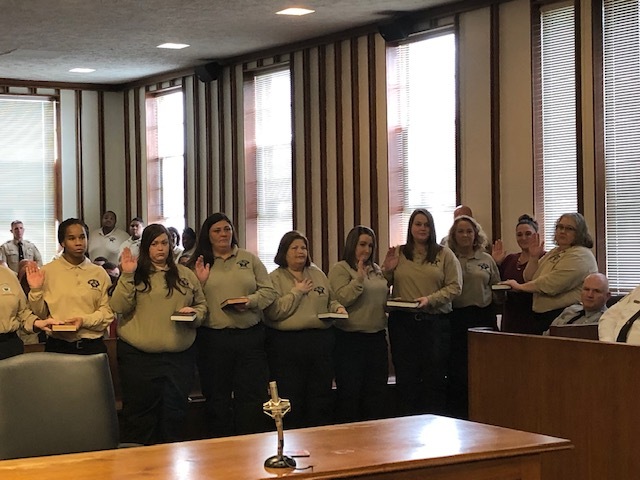 Next the oath was administered to the staff of the Register of Deeds office. 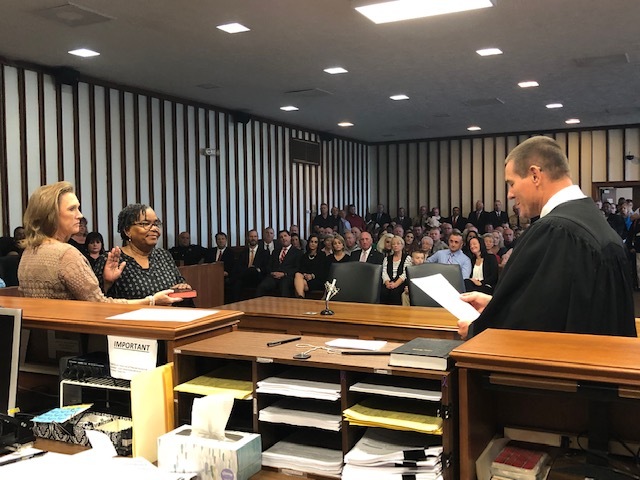 The first staff members to receive the oath of office were Assistant Register of Deeds Doxie Ruffin followed by Deputy Register of Deeds Jaleena Owens and Ms. Martin. Judge Sasser administrated the oath of office for newly elected Bladen County Coroner Kenneth Clark. He ran unopposed after long-time Bladen County Coroner Hubert Kinlaw decided not to seek another term. He also thanked everyone for their support. 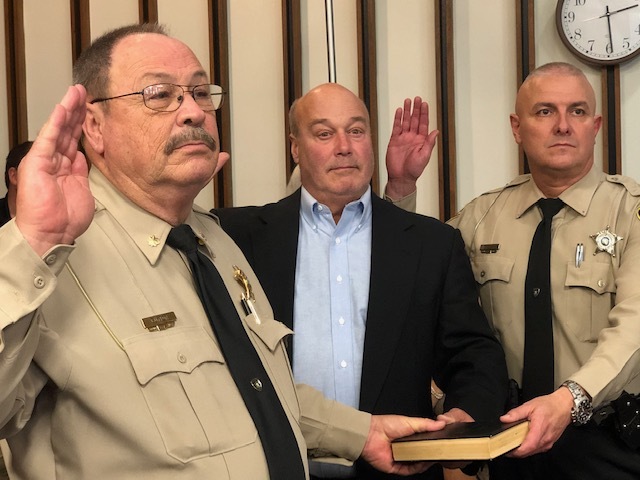 Bladen County Sheriff Jim McVicker was administered the oath of office by Judge Sasser and Cumberland County Resident Superior Court Judge Ammons. He was joined by his wife Kathy and flanked by several Sheriffs from neighboring counties. 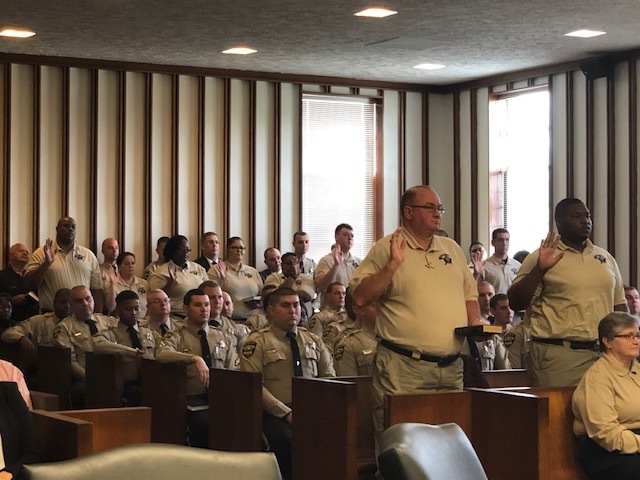 Following Sheriff McVicker’s swearing in, the members of the Bladen County Sheriff’s Office telecommunications, deputies, jailers and staff members were all sworn in.